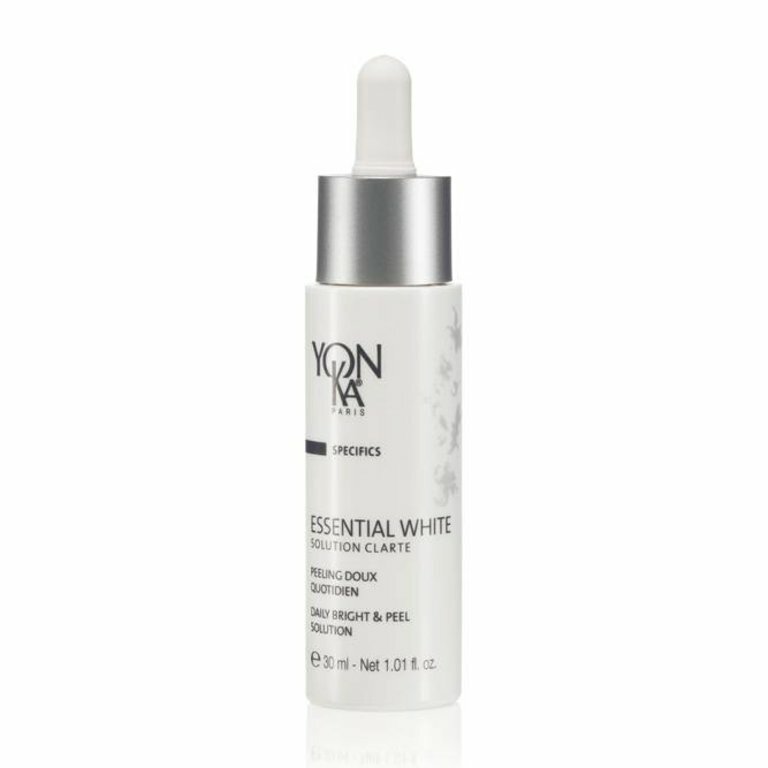 This gentle and gradual peeling treatment helps eliminate dead skin cells, reduce skin discolorations and improve skin quality. Your skin appears clearer and smoother, and your complexion recovers longlasting evenness, radiance and brightness. It is recommended to anyone with sensitive skin only use the Solution Clarté treatment once a day, preferably on the evening. *Avoid sun exposure throughout the duration of the program. Hydrolyzed opuntia ficus indica flower extract, AHA (glycolic, salicylic, lactic and malic acids), apple extract, ascophyllum nodosum extract.